In hot and humid Estero, your air conditioned home provides a cool oasis. When you’re dealing with an HVAC malfunction, you want your problem diagnosed accurately, fixed promptly, and priced fairly. At FL Green Team, we will deliver on all points. Your certified, experienced technician will have your air conditioner up and running in no time – at any time, day or night. We are a local, employee-owned company, dedicated to honesty and integrity in dealing with our customers. You don’t have to believe us – read reviews from local homeowners like you on Angie’s List and Homeadvisor, both trusted sources for authentic, unbiased reviews. 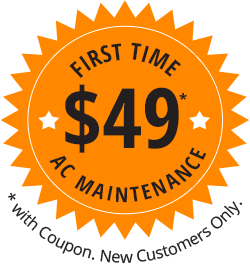 AC Maintenance – Affordable Agreements Available! 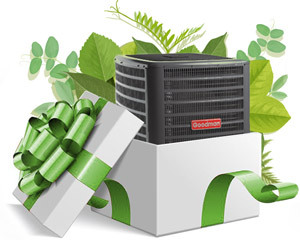 We install Trane, Rheem and Goodman air conditioners and service all major brands and models. Attention New Customers – Sign up and Save! Sign up for our newsletter to receive not one, but two money-saving coupons. * Coupons for new customers only. Cannot be combined with any other coupon or special offer. Valid only for the stated service. 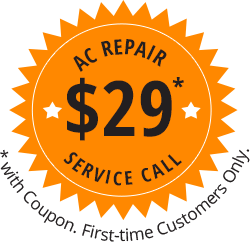 Need a New Air Conditioner in Estero? Get a Free Online Estimate. If your AC is over 10 years old, and/or a major component has failed, it’s probably time to replace it. Fill out a short survey online, and we’ll give you an estimate on a new HVAC system – absolutely free. We’re confident that you’ll love your new air conditioner. 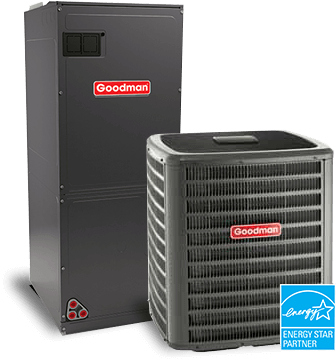 We install only high-quality HVAC equipment from Trane, Rheem and Goodman. Our experienced team performs every air conditioner replacement in Estero with expert attention to detail. But if you’re not 100% thrilled with the product or the installation in the first 30 days, we’ll remove the equipment and refund your money. The importance of maintaining your air conditioner cannot be overstated. Regular maintenance will keep your AC running at top efficiency, so you can save money on your electric bill. It will also help you avoid costly AC repairs in the middle of the hot Estero summer. You can get your first preventative AC maintenance free when you sign up for an affordable Annual Maintenance Agreement – just $158/year for 2 visits. The agreement also includes a 20% discount on all repair parts and labor. 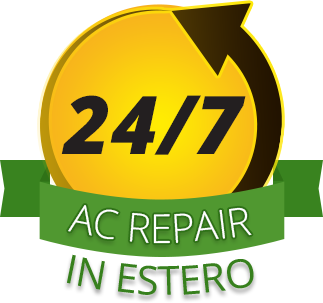 We’re not your typical Estero HVAC company – our expertise doesn’t stop at fixing and installing air conditioners. Our philosophy includes what we call the “Whole House Approach”. 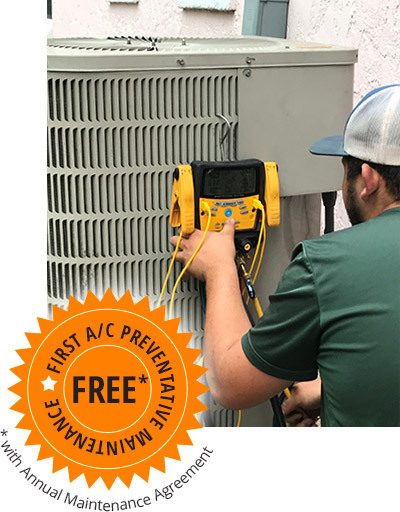 We look beyond your condenser (outdoor unit) and your air handler (indoor unit), knowing your ductwork holds one of the keys to your central air conditioning system’s prime operating efficiency. Leaky ducts cause your air conditioner to run longer and harder to cool the house. This harms your AC’s efficiency, resulting in higher electric bills. Based on evidence collected by Florida’s utilities, a staggeringly high 75 percent of existing homes in Florida have between 30% – 50% leakage from their air conditioning system’s ducts to the attic in their home.